The task of the Peace and Social Concerns Committee is two fold: discernment and taking action. Determining what issues confronting our present social order pertain to Friends traditional testimonies of equality, peace, and non-violence, stewardship, civic and community responsibility. Hearing the concerns of Monthly Meeting, or individual members of the Meeting, and those brought by other religious, service and legislative bodies that address these issues. Educate the Meeting regarding Friends traditional testimonies and their application in today’s world, especially addressing the issues of violence, discrimination, addictions, and poverty. Enable the Monthly Meeting and individuals to take action on their concerns. Support those who are suffering because of actions they have taken in support of their concerns. Act in solidarity with those who are affected by our failure to achieve a society of non-violence, equality, economic justice, and equal opportunity. The committee seeks to work in cooperation with other committees of the Monthly Meeting, other Monthly Meetings and community groups that work constructively on these issues. 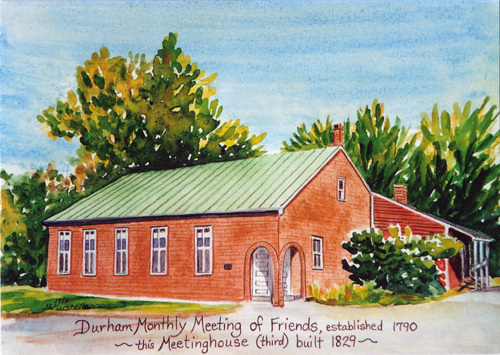 In being rooted in a covenant with God as Quakers … the Quaker peace and social testimonies are the discernment of God’s will for the Quaker community and provide a vision of authentic society: one of peace and nonviolence; equality and community; truth and integrity, and simplicity and mindfulness.